One of the principles key to the protestant reformation was the idea of Sola Scriptura: that the Bible is sufficient of itself to be the source of Christian doctrine. John Wesley further clarified this idea when he stated, “In all cases, the Church is to be judged by the Scripture, not the Scripture by the Church.” However, at some level, all Christians are forced to make some judgment about the scripture in the form of interpretation. How is a person to interpret the scriptures? “Wesley believed that the living core of the Christian faith was revealed in Scripture, illumined by tradition, vivified in personal experience, and confirmed by reason. Scripture [however] is primary, revealing the Word of God ‘so far as it is necessary for our salvation.’” This idea is more commonly known as the Wesleyan Quadrilateral; every person forms their theology through scripture, tradition, reason, and experience. 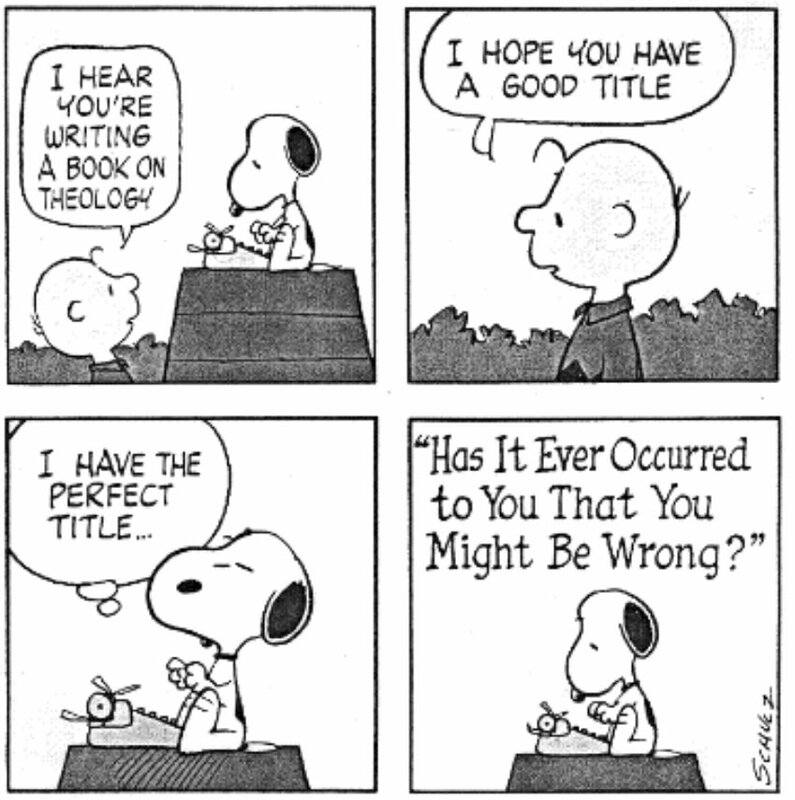 Theology is at its best when all four areas are attended to. As we look at the debates over science in the late 19th and early 20th century it is easy to see that many of the warring factions clung to one corner of the quadrilateral. Many of these groups were unwilling to explore how the other three points of the quadrilateral would affect their theology. The world needs a saviour more than it ever did before, and there is only one name under heaven given among men whereby we must be saved. It is this name that evolution degrades, for, carried to its logical conclusion, it robs Christ of the glory of a Virgin birth, of the majesty of His deity and mission, and of the triumph of His resurrection. Both Talmage and Bryant felt that science was not only wrong, but was a danger to the gospel message of Jesus Christ. Science and Religion…are sisters, because they are daughters of the same Father…Now since reason and revelation aid each other in leading us to god, the Author of both, it is manifest that the Catholic Church, so far from being opposed to the cultivation of reason, encourages and fosters science of every kind. This group was enabled to see scientific advance as a blessing because they were not trying to defend the Bible. They felt that the Bible could defend herself. Rather this middle group of people was attempting to understand the truths God was speaking to them through the Bible by first understanding a little better the world around them. Can a conclusion for today’s young scientists be made? What are the lessons we can learn from our past? I would suggest that we need to stay rooted in the biblical revelation, our ecclesial traditions, human understanding, and the experiences which we and the spiritual community around us live out. At the same time we need to allow ourselves to explore ideas that make us uncomfortable. Evolution was a very uncomfortable idea for many in the early 20th century because it forced a drastic shift in worldv iew. It changed completely the way they thought the world worked. As we move forward into this young 21st century we need to be prepared for the day when we realize that we are wrong. We need to prepare for a time when our worldview, our personal paradigm, is forced to shift and completely rearrange our perception of how the world works. When this happens, we can remain grounded in our faith by recognizing that God has not changed; it is only our perception that has changed. Powell, John Wesley. The Monist. 8 (1898), 199-200,203-4. T. DeWitt Talmage. “The Missing Link”, in Live Caols. (New York: Wilbur B. Ketcham, 1885), pp.271-75. Allen, Leslie, ed. Bryan and Darrow at Dayton. (New York: A. Lee & Co.. 1925) pp.195-6. Le Conte, Joseph. Religion and Science. (New York: D. Appletion & Co. 1874) pp227-30, 231-33. Cardinal Gibbons, James. Our Christian Heritage. (Baltimore: John Murphy & Co. 1889) pp.301-4,9-10,19-20.